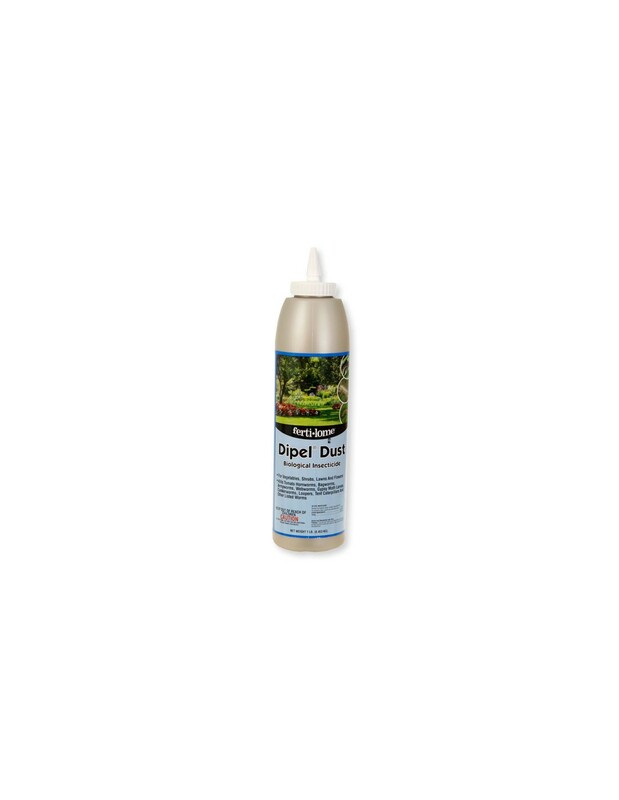 Dipel Dust Insecticide is an easy to use dust that kills many worms and caterpillars. Stop these pests from taking over your garden or plantlife! * Pet safe when used as stated on label! 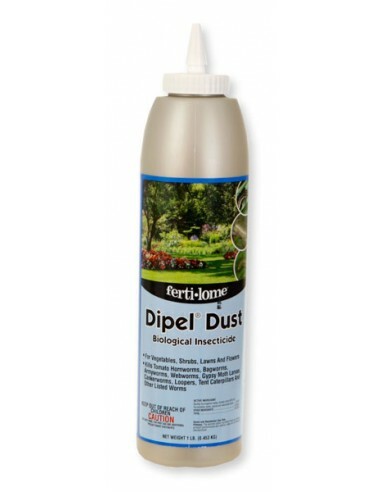 Simply dust product onto plants at the following rates. Completely cover all plants surfaces. Apply when pests begin to appear and reapply as necessary. Beans, Peas, Cabbage, Turnips, Cauliflower, Collards, Broccoli, and Mustard Greens: : Use ½-1 oz. to kill Loopers and Webworms. For Hornworms, Cabbageworms, Diamondback Moths and Green Cloverworms, use ¼-½ oz. For Armyworms use 1-2 oz. Tomatoes, Cucumbers, Squash, Peppers, Melons, Lettuce, Celery, Potatoes, and Spinach: Use ½-1 oz. to kill Loopers, Tomato Fruitworms, Variegated Cutworms, Rindworms, Salt Marsh Caterpillars. For Hornworms use ¼-½ oz. For Armyworms and Melonworms use 1-2 oz. Turf: Use 2-4 oz to kill sod webworms. Shrubs and Flowers: Cover completely by dusting plant surfaces. Refer to label for detailed instructions. Controls: Tomato hornworms, bagworms, armyworms, webworms, gypsy moth larvae, cankerworms, loopers, tent caterpiller, tomato fruitworms, sod webworms, variegated cutworms, imported cabbage worms, rindworms, melonworms, and more! Dipel Dust Insecticide Manufacturer: Voluntary Purchasing Groups, Inc.